For most people the symptoms of diabetes do not seem very serious when they first experience them. In fact a great majority of diabetics go undiagnosed. There is an estimated 17 million diabetics in the United States alone and it is estimated that 5.9 million have yet to be diagnosed with this life threatening disease. 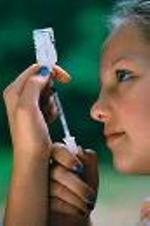 Many people may even express some sort of disbelief when they are diagnosed with diabetes. The diabetic symptoms can seem so minor that saying “I don’t feel any different” or ” I don’t feel sick” is a pretty standard response for many people newly diagnosed. Because the symptoms can seem rather minor when they first start they can be attributed to other conditions or problems. Unfortunately diabetes is a serious disease and is the sixth leading cause of death by disease in the United States today. • Frequent urination – Caused by high blood glucose which increases blood flow to the kidneys. • Excessive thirst – Results from dehydration from the increased urinary output. • Extreme hunger – Because glucose is unable to get into the body’s cells from the lack of insulin the body suffers from an energy deficit, causing hunger. • Blurry vision – Caused by the increased blood volume that causes a swelling of the lens of the eye. It’s easy to see why these symptoms may be mistaken for something other than diabetes. There are many day to day conditions that could cause some of these symptoms. For instance the stress of everyday life can lead to fatigue or irritability and as can depression which can also cause weight loss. Any number of minor illnesses such as colds or the flu can also cause diabetes like symptoms. As the diabetes gets progressively worse so will these symptoms. Another thing to keep in mind is that unlike symptoms associated with an illness or other problems in life these will not go away. If your experience any of these symptoms and they do not go away it is important to schedule a doctors appointment and discuss your symptoms with a physician. 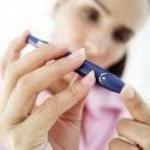 The sooner diabetes is diagnosed the sooner preventative treatment can be undertaken. This is important because the longer it is left untreated the more damage it can do to the body and its organ systems. While there is no cure for diabetes it can be successfully managed with positive lifestyle changes. To learn more about the symptoms and complications of diabetes please visit the web site Diabetic Diet Plans by Clicking Here.